Brian Reed, the comic writer who adapted the Halo: Fall of Reach novel into comic form in 2010 before joining 343 Industries to write the Halo 4 game, will write the books, with Marco Castiello (Star Wars: Purge) on art. 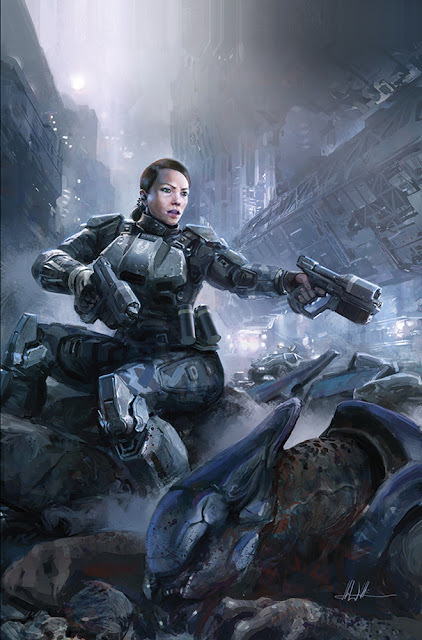 Initiation is the origin story of Sarah Palmer, a character introduced in Halo 4. Although she appeared in the game as a commander of the Spartan forces, she was originally an Orbital Drop Shock Trooper; this series follows her career path.